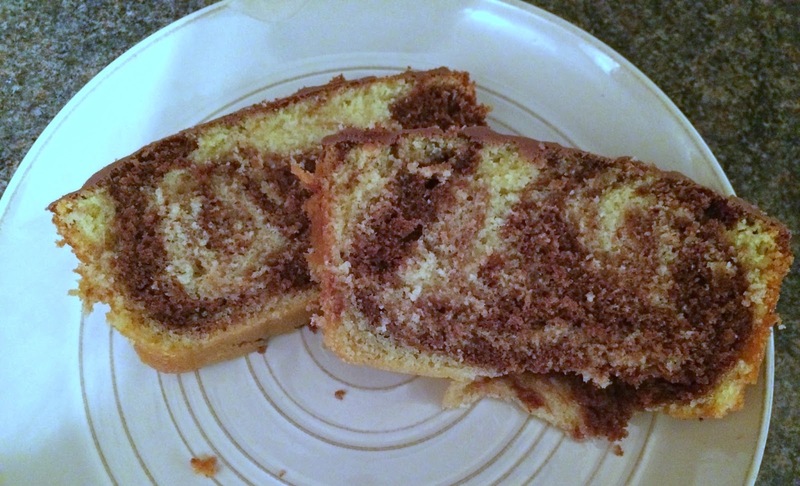 Browsing through my cookbook I came across another recipe I couldn't wait to try and share with you and this time it was a delicious looking 'Chocolate Orange Marble Cake'. 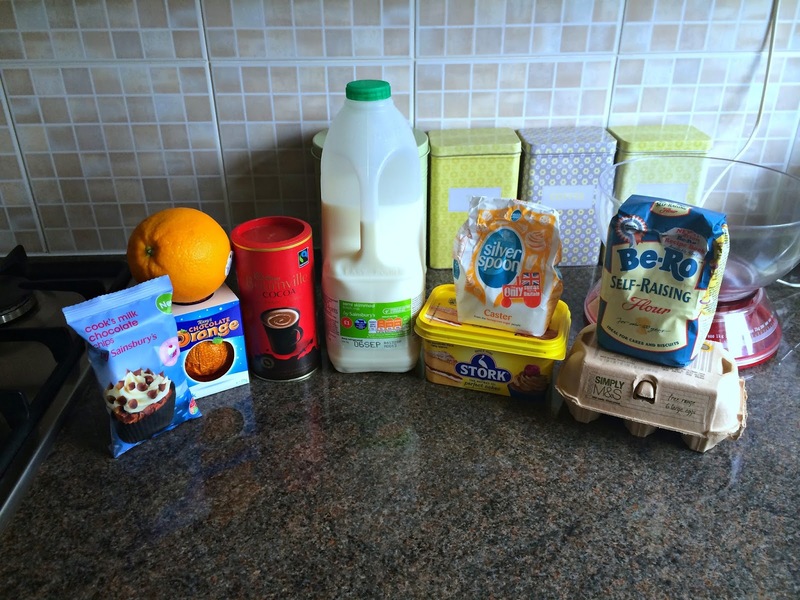 With Chocolate and Orange being two of my favourite flavour combinations, I couldn't wait to get baking! Step One // Preheat your oven to Gas mark 4 or 180 C and grease a baking tin. Step Two // Beat the eggs, butter and sugar together in a bowl with an electric whisk. Step Three // Gradually fold in the flour using a wooden spoon. Step Four // Separate your mixture into two bowls trying to make them as equal as possible. Step Five // Add the milk and cocoa powder to one bowl and then orange juice to the other. Step Six // Spoon the mixture into the baking tin taking alternate dollops of each mixture and then use a skewer to create a marble pattern. Step Seven // Place in the oven for 45 minutes and cook until golden and risen and a skewer comes out clean. Step Eight // Leave to cool for 5 minutes and then turn out onto a wire rack to cool. Step Nine // For the topping, melt your chocolate orange in a bowl over a pan of boiling water and spread or drizzle onto your cake. And there you have my Chocolate Orange Marble Cake.